I'm a fairly novice SP user, however I've run into an issue. 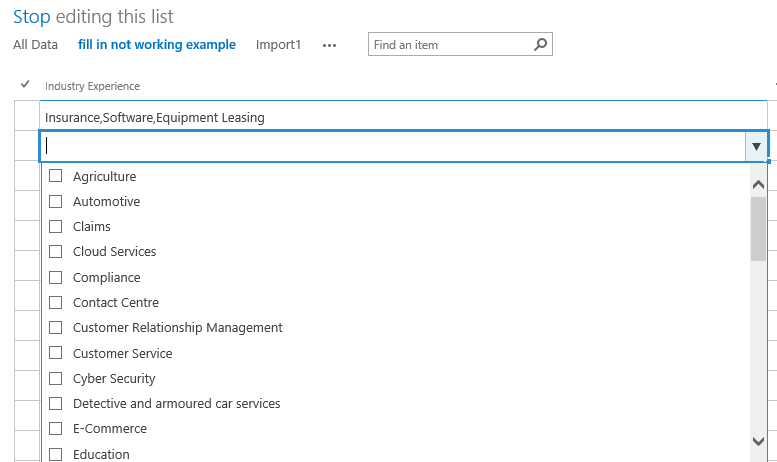 I've created a list, and one of the columns is a 'Choice' with checkboxes so users can select multiple items. When I set the 'Allow fill-in choices' to No, everything works well. However, when I set it to Yes, all of a sudden that field becomes uneditable. When I go to create a new item, it works fine. 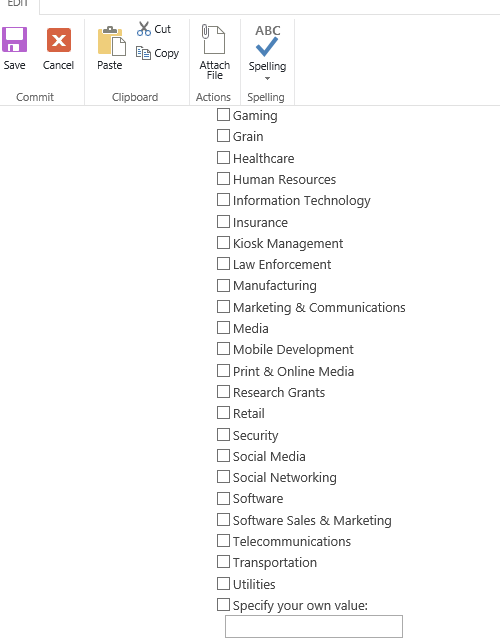 However, if I try to edit the list directly, there's no drop down and no way to edit that field. This is what it looks like when I'm trying to edit this field on the list. 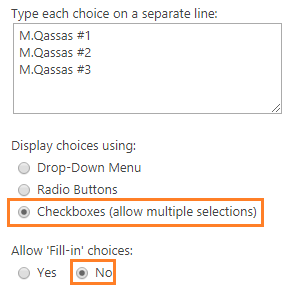 It's by design, you can't use Allow 'Fill-in' choices with Checkboxes (allow multiple selections) in Quick Edit. 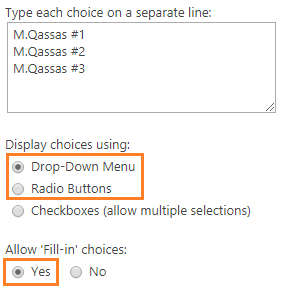 Use Drop-Down Menu or Radio Buttons with Allow 'Fill-in' choices. Not the answer you're looking for? Browse other questions tagged sharepoint-enterprise sharepoint-online sharepoint-server list choice-field or ask your own question. Why would a 'Choice' column become un-editable?